You have to see the change to make sure it’s happening. “Visible learning” is a ground-breaking concept coined by education researcher John Hattie. It establishes that learning must be seen and obvious, not assumed. Frey and Fisher explain it using height as an example. When establishing a change or difference, it’s not enough to see the difference in height between one person who is 5’3” and another who is 5’4”. Instead, a more obvious visible difference, like between a person who is 5’5” and one who is is 6” tall, is a better teacher of height difference. It’s exciting to think that with some scaffolding, and the intentional use of specific strategies and assessment, you will be able to identify exactly what part of the teaching process worked, and student learning will be visible. Prior knowledge can help slide a student into the learning instead of creating a barrier. Be careful though, just because a student already knows something, doesn’t mean they know it correctly. You can use anticipation guides to help correct those misconceptions before asking students to build on that knowledge. It’s not cheating to get kids connected to what’s about to be learned, it’s intelligent teaching. Learning words requires more than just exposure to the word. There are several successful techniques for teaching vocabulary words to help kids problem-solve for themselves. Teaching children to understand what they read requires you to use a mix of activities and materials. Everything a teacher does is designed to help a student develop the ability to organize and analyze information. That’s what makes it such a tough job! It’s important to help kids add context to what they are reading as they read. 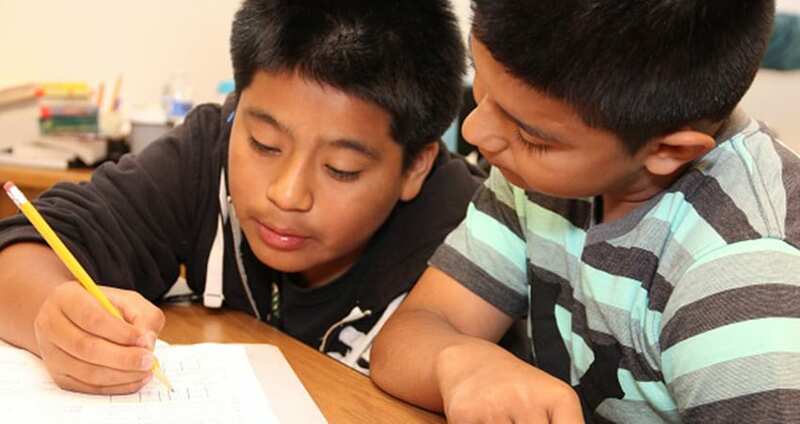 Teaching them different strategies like brief summaries, Cornell notes, and annotation can help them figure out what works best for their comprehension. Concept maps and graphic organizers scaffold students to be able to organize their information and thinking. It is this intermediate step that supports extended writing and discussion of ideas. Using maps to guide your students in the way you’d like them to begin thinking can help speed up the time it takes to get them there. This can be helpful in class when you need to move them past surface learning and into deep learning. Popplet is a cool online tool you can use to make concept mapping easy and engaging. Both discussion and questioning in the classroom create a place to foster deep learning. The more a student struggles with comprehension, the more value there is to asking questions and discussing thinking. Make sure to focus on discussion questions that require deep thinking rather than those that expect surface answers. “Can you tell us more about that?” allows students to understand that you expect them to be showing evidence that supports their thinking. It’s the way we watch ourselves learn. You can help your students learn this amazing skill by teaching students to ask the right questions. One authentic activity that you can use right now to engage kids in why this skill matters is to try out a website evaluation tool. This tool will help them track how they think as they surf different websites. Using this strategy, which you’ll find in many of the newer standardized testing products, students read several different documents and then synthesize information. This fairly difficult activity requires all three learning types: surface, deep, and transfer. If students don’t practice this skill often, they won’t do well when they are required to do it independently. It does not come naturally, but must be explicitly taught and experienced. When teachers give students appropriate and immediate feedback during this process, students can be quite successful in their mastery of it. Teachers have been using a version of problem-based learning forever. Many though, aren’t using it correctly. Make this one tweak and you could be quite effective. Instead of issuing a problem and inviting students to solve it, you can share conflicting information. Then, ask groups to identify what they think the problem is, and how best to solve it, supporting their reasons with evidence. Here’s an example: Should we protect undocumented immigrants in the U.S.? In asking this question you aren’t defining the problem. Next, locate a few conflicting articles showing both how undocumented immigrants take U.S. citizens’ jobs and how immigrants can make an economy stronger. Then, share a problem-solving method like Woods’. Have them work together through the steps to identify the problem statement and then work to solve it. They will have to move flexibly between surface, deep, and transfer learning in order to accomplish this. No easy task to be sure, but possible for all of them together. Assigning writing activities that extend learning can be a rewarding way to move students into transfer learning. The critical component that makes these extended activities successful is that they involve the use of knowledge, deep thinking, and transfer of information across disciplines. You’ll be able to observe and identify what type of learning a student is using at any stage in the process. Your conferences can be used to name what they are doing and help them set goals to move into a different type of learning. While it’s nice to know that students liked an activity or lesson or that you thought it went well, liking is not enough. You also need to know what impact the lesson had on learning—and that impact should be visible. Start with lessons that have clear intent and make sure students know what they should be accomplishing and how. Give them feedback very soon after a project or lesson is complete so that they can use what they learned to improve their learning going forward. This is the toughest work out there, but also the most rewarding.